Don't wait for your 2005-2014 Mustang's stock bushings to start sagging or failing from heavy abuse. UPR's Adjustable Motor Mounts feature Energy Suspension Urethane bushings and CNC machined 7075 Billet Aluminum making them the strongest and most versatile on the market. 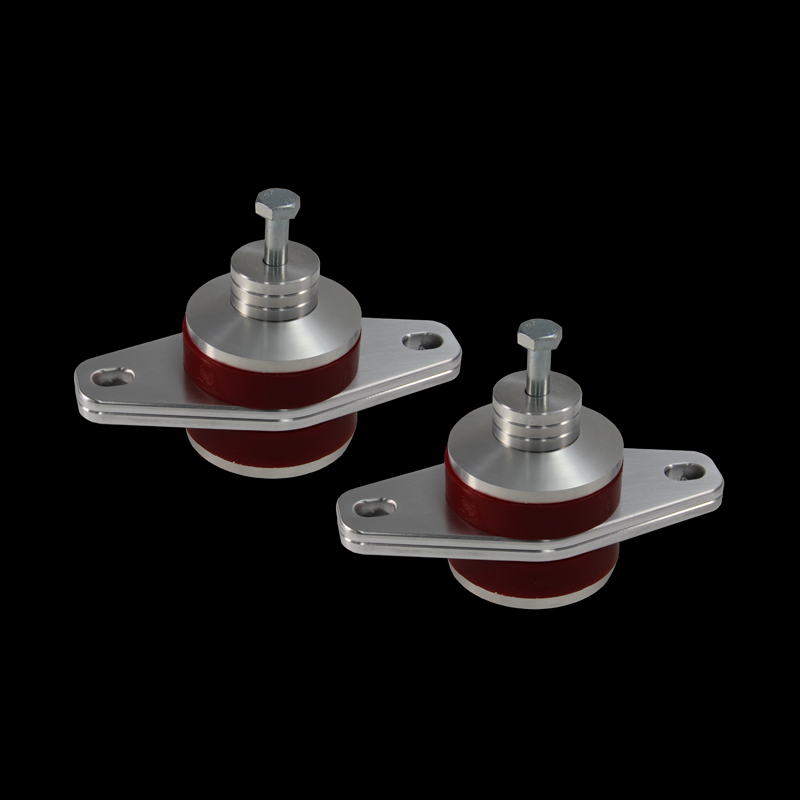 The street urethane bushings are stronger and slightly stiffer than stock for a performance feel without the feel of a race car. These mounts are also adjustable in 1/4" increments from stock engine height to 3/4" drop for additional hood clearance when using aftermarket Superchargers. 7075 Aluminum is more than double tensile strength of 6061 aluminum that most use in their motor mounts. 2005 2006 2007 2008 2009 2010 2011 2012 2013 2014 4.0L 4.6L 5.0L Coyote 5.4L V6 GT GT500 Shelby Mustang Steeda Roush & Saleen Vehicles. No one else can stack up to the bold clean styling of our aftermarket Billet dress ups, Street Strip & Racing Suspension & Performance Parts for your late model American Muscle Car!